Home / Hygiene / What Causes Bad Breath? You may have noticed a foul odor coming from another person’s mouth and thought to yourself, “You need a tic-tac!” Yes, bad breath is not something we like, whether it’s coming from ourselves or we’re smelling it on other people. What causes bad breath to happen in the first place? What is halitosis? It is the scientific term for a buildup of bacteria in the mouth, which produces the familiar stinky smell. Halitosis is usually caused by the complete lack of oral hygiene, causing the plaque bacteria buildup around the gum line and on the back of the tongue. 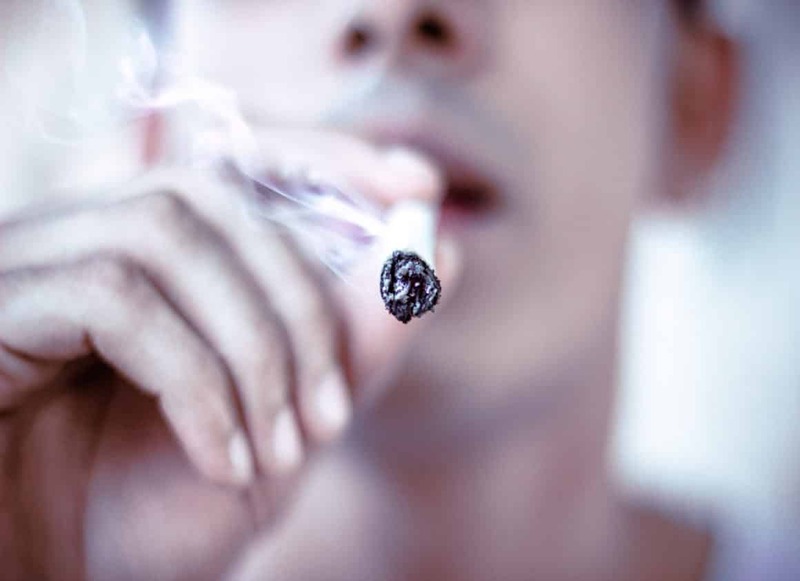 Smoking: Constant tobacco use causes bad breath by reducing saliva flow and leaving a smelly residue in the mouth. Certain Foods: Luckily, the odors caused by certain foods are temporary. Usually we can tell when someone has eaten garlic because of their “garlic breath.” Once garlic (or other strong-smelling foods) hit the bloodstream, the smell comes through the breath until the food is fully digested. Dry Mouth: This is caused by not producing enough saliva to wash away excess food particles and bacteria. It can cause an unpleasant odor if it builds up on the teeth. Use an alcohol-free mouthwash that will help kill the bacteria that causes bad breath as well as protect against other oral health issues such as gingivitis. Limit your intake of caffeinated drinks, alcoholic beverages, and sugary and acidic juices. Drink lots of water. While using mints may seem like a good idea, the fresh breath they provide is only temporary and can leave a sugary residue on teeth, which is actually a significant contributor to tooth decay. Sugarless gum is recommended to help form saliva better. Floss every day to prevent plaque buildup and food particles from becoming trapped in your mouth. Brush twice a day for two to five minutes with a good toothbrush. And most importantly, do not forget to brush your tongue! The papillae on the tongue are a significant niche for bacteria! You can use your toothbrush, or use a tongue-scraper. Check with your physician as oftentimes, halitosis is caused by viral or bacterial sinus infections. If you are following a proper oral care routine and you are still having abnormally bad breath, it could be a sign of something more serious. Visit our dentist office if your bad breath is a persistent problem. That way we can help you find a solution and catch any possible health issues that may be causing it.